Juan was excellent. He met us on time and explained everything in great detail-ac,washer, keys etc. The location was perfect for walking everywhere. One block from Grand Via and 15 min. walk to Grand Mayor and Puerto Del Sol. Grocery store and restaurants on block and around block from apt. The bed was extremely comfortable with lots of pillows and blankets. We didn’t use soda sleeper. WiFi was very good. Kitchen was well appointed with frig.,microwave and other dishes and appliances. The 2 ladies that serviced our room daily were professional and polite. We would definitely stay here again. Also Juan has a great personality!!! Thanks everyone. The location was central to everything; the apartment had everything we needed, including a perfectly stocked kitchen; there were good restaurants right on the street; everything worked well; and the building manager Juan was super nice and very helpful. the host is super helpful and very kind, the location is great as it is walking distance from everything. The apartment has all the amenities one would need and is super clean. We honestly couldn't have asked for a better stay! Apartamentos Caballero de Gracia We enjoyed our stay at this apartment. The location is spot on - so close to all the major plazas and around the corner from a local grocery store. Despite its central location, the apartment was very quiet. The heater worked great and the apartment was very cozy and warm. The bed was super comfortable as were the pillows. The shower worked well. With perseverance we managed to convert a couple of tv channels to English!! The host graciously gave us a bottle of wine which we enjoyed. -The owner Juan is a nice person,he is always waiting for his guests,ready for any help & explanations. -The location is super excellent,you can reach anywhere in the center in 3 to 5 minutes,in the same street there's 2 sushi restaurants,1 Chinese & 1 Spanish. In 2 words you can find everything you want around you. -The cleanliness & the pressure of the water in the bathroom are excellent. Juan is awesome. He was so welcoming and nice. Its funny because he spoke 90% Spanish to us and we understood almost all of what he was telling us. Although we had someone who understood some Spanish and I did as well but still.. Juan is awesome host. Location is about 5 minute walk to Sol metro station. Area is close to bars and nightclubs. Heater works excellent. Bathroom and shower worked great. Kitchen worked great. Room is not on a busy street so entire apartment is quiet. Theres even a second door to stairwell to block sound and any drafts. There is a safe. Juan is a fantastic and accomodative host. He waited for us during a late check in and stowed bags for us when we checked out. The rooms are also cleaned daily and are very well located. Apartment locates at great location. 30euro taxi from airport, 6euro taxi from Atocha train station, surrounded by bus stops, metro stations, great resturants, downtown attractions all at walking distance. Juan is definately the plus for this apartment. Juan is so nice to wait for our very late in flight without extra charge but big smile. Even he said his English is not so well but it is more than enough for daily communications. The room is very clean, house keeping come and clean everyday. 2 supermarkets are round the corners, 1 left 1 right, with 1 of them 24hr open. Great value for money too! All is great - location, cleanliness, staff, everything, especially the washer!!! 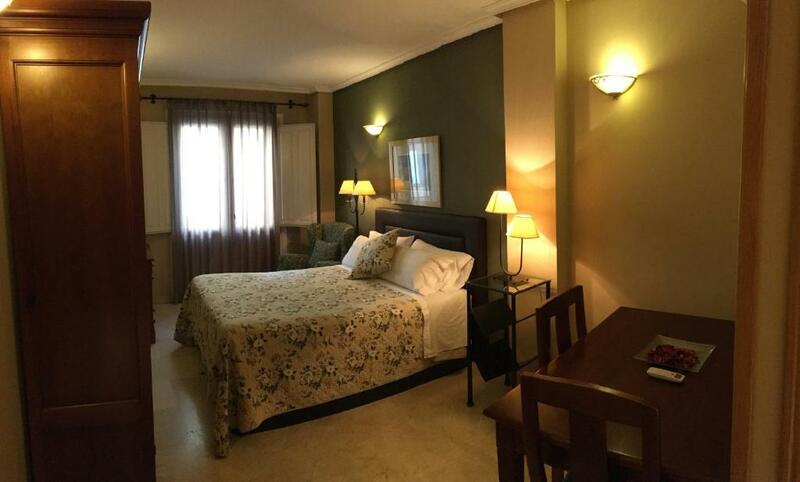 Lock in a great price for Apartamentos Caballero de Gracia – rated 9.6 by recent guests! One of our best sellers in Madrid! 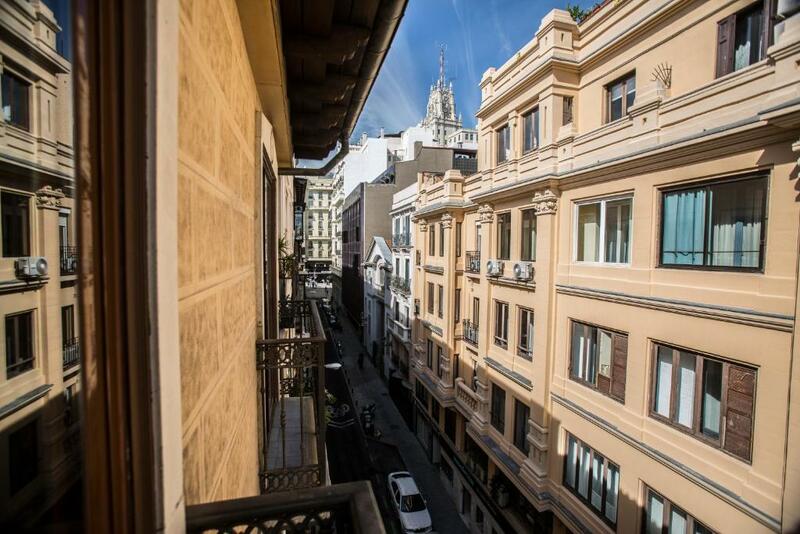 Centrally located, just 350 feet from Madrid’s famous Gran Via, Apartamentos Caballero de Gracia offers spacious air-conditioned apartments and studios, all with free WiFi, a flat-screen TV and DVD player. Each apartment or studio comes with a kitchen which includes a fridge, microwave and coffee maker, as well as a washing machine, oven, toaster and kettle. Each private bathroom comes with a bath, shower and hairdryer. Staff can recommend nearby bars, restaurants and shops, and Puerta del Sol and Cibeles are a 5-minute walk away. 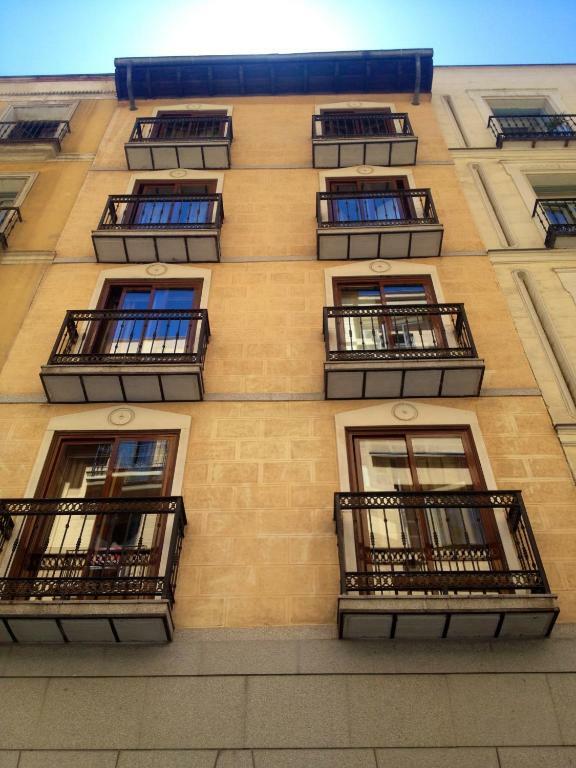 The Prado, Thyssen and Reina Sofia museums are around a 15-minute walk from Apartamentos Caballero de Gracia. 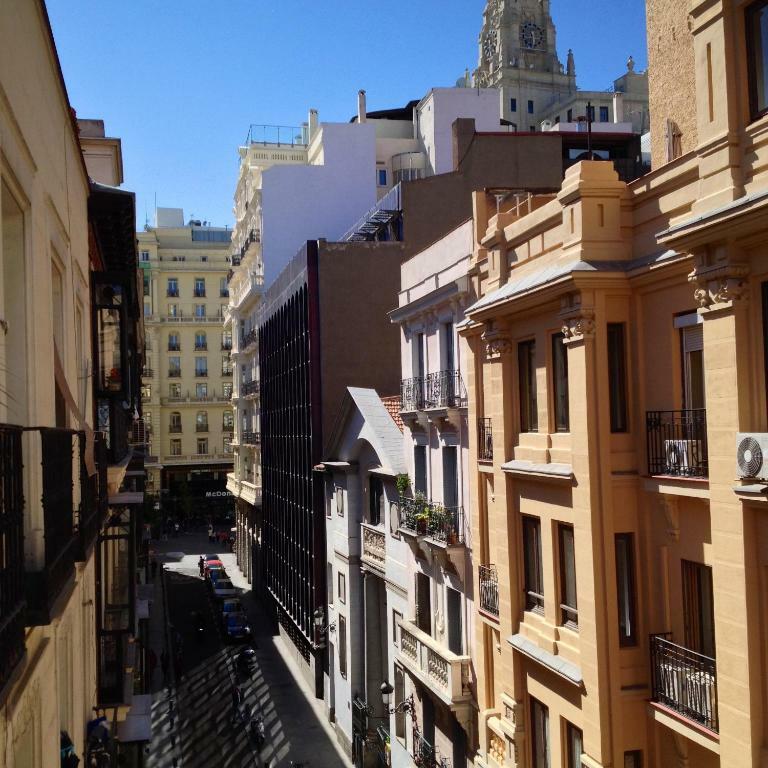 뀐 Located in the real heart of Madrid, this property has an excellent location score of 9.9! 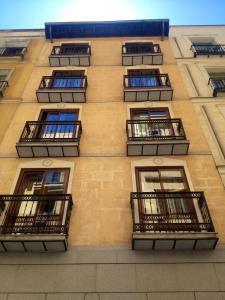 When would you like to stay at Apartamentos Caballero de Gracia? This spacious, modern studio has a double bed, a walk-in wardrobe and a balcony with great views over the street. 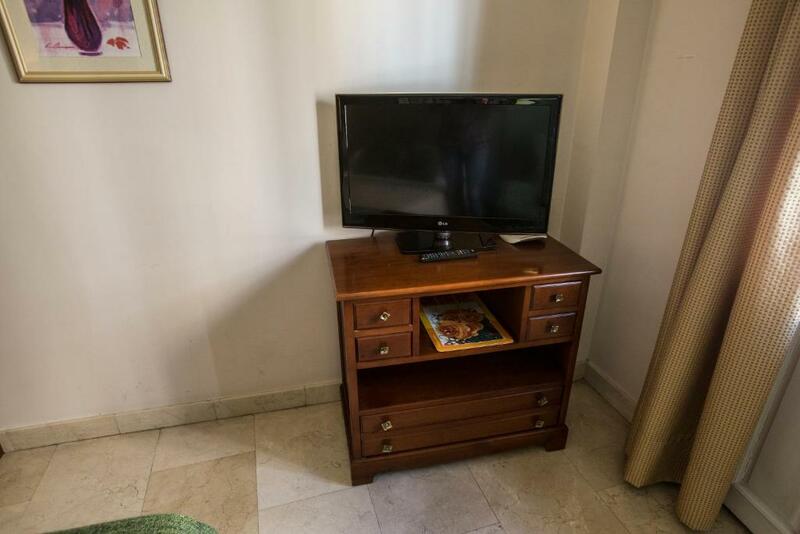 It features a flat-screen TV with DVD player and free Wi-Fi. Private parking is available on site (reservation is needed) and costs EUR 19 per day. This spacious, modern apartment has twin beds in the bedroom and a double sofa bed in the living room. It has free Wi-Fi and a balcony with great views over the street. This very spacious, modern fifth-floor apartment has twin beds in the bedroom and a double sofa-bed in the living room. It includes an LED TV, a fully equipped kitchen and bathroom with a large bathtub. The penthouse does not have a balcony, patio or terrace but offers large windows with lots of natural light. Please note that there is no street view. building built in 2003 and consists of 9 apartments run by a family directly, giving them a friendly and relaxed atmosphere, to try to get the most similar to the feeling of "coming home". A prime location for enjoying Madrid without needing public transportation, but if necessary, is situated 100 meters from the Metro stop Gran Via. 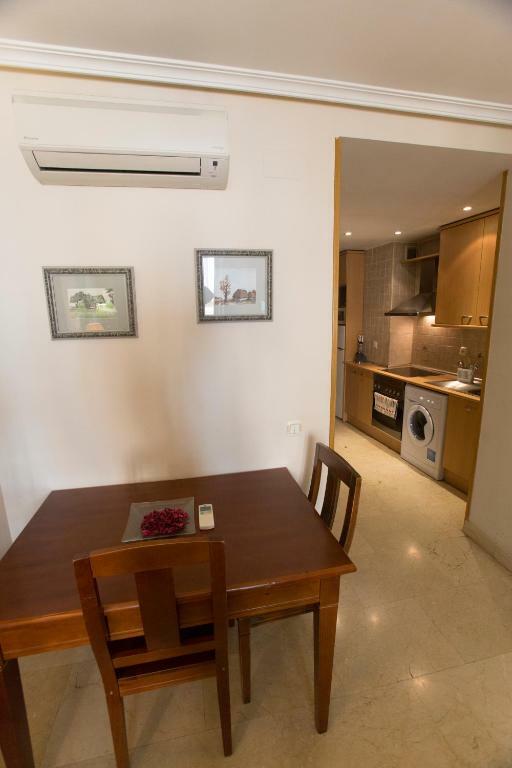 House Rules Apartamentos Caballero de Gracia takes special requests – add in the next step! Apartamentos Caballero de Gracia accepts these cards and reserves the right to temporarily hold an amount prior to arrival. Please note that payment by credit card incurs a charge of 2%. Please inform Apartamentos Caballero de Gracia of your expected arrival time in advance. You can use the Special Requests box when booking, or contact the property directly using the contact details in your confirmation. The apartment had everything you need. It is probably the cleanest apartment I have stayed in and the host Juan is so helpful. The location also couldn’t be better and most places of interest are within walking distance. All was excellent. The only small issue was that the shower head had to be held by hand as the holder on the wall didn't work, which made washing your hair difficult. We didn’t stay longer ! 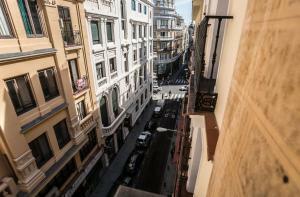 A great location in the centre of Madrid, near the most important turistic objectives. The staff was friendly and the apartament very cosy. They were cleaning the rooms daily. It would be nice to have a coffee maker with provided coffee capsules. 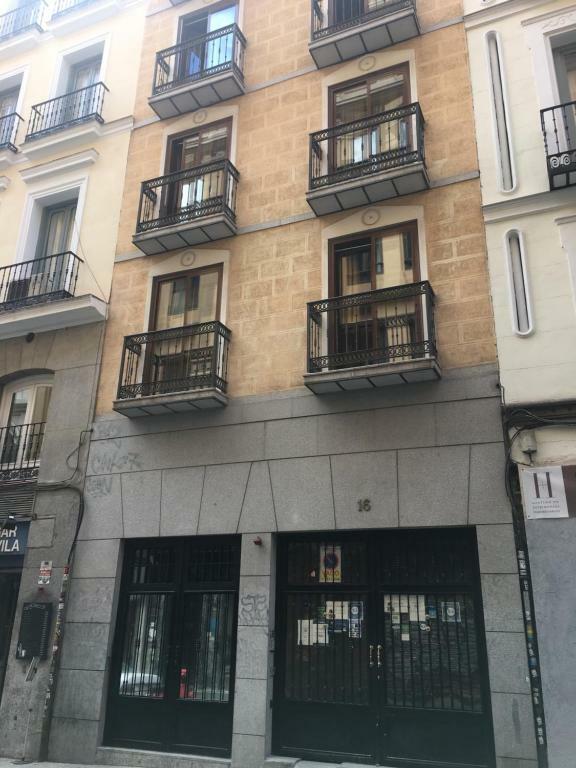 Excellent location - very close to Gran Via. Easy walking access to everywhere in the center. Few good breakfast places nearby as well as 2 food stores. Juan - a perfect, welcoming host. A chopping board, a tea towel and a plug for the bath would have been handy. And a couple of mugs for big cups of tea/coffee! Personal service from Juan was second to none. Great to have a local giving you tips and suggestions. He was charming and helpful. The room was warm and cosy - it poured and was quite cold so it needed to be! The flat was cleaned and towels and sheets changed after just 2 nights of a4 night stay! That was unexpected and much appreciated. There were a couple of faulty doors on kitchen cabinets. And a small thing but a wooden spoon would have been good for cooking. Juan made us very welcome and shared his enthusiasm for Madrid, giving us great tips for top places to visit. The location is excellent and we were very comfortable. We so wanted to stay for longer. Everything was fine, although it would have been good to have a small occasional table. We were given a warm welcome. 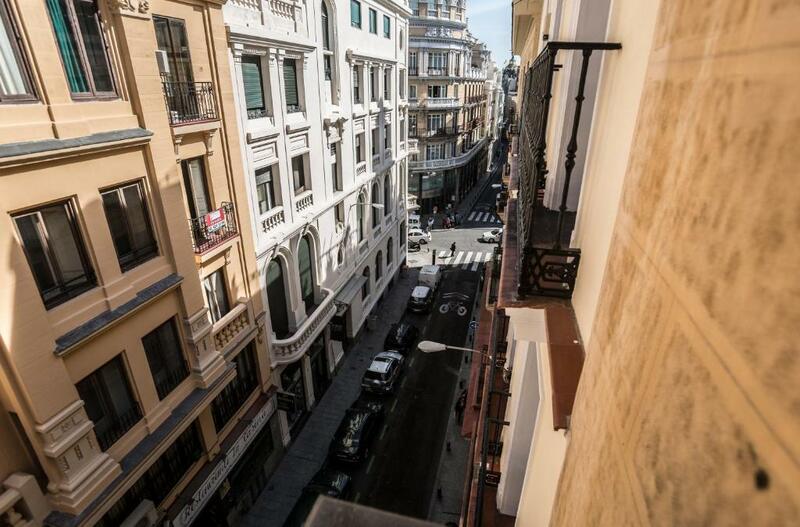 The location of the apartment was very central, just behind the Gran Via. The apartment was well equipped and the bed comfortable. There are a good number of restaurants and bars in the immediate vicinity. It is within walking distance of the main cultural attractions. There is a supermarket just round the corner. The apartment was very clean and the bed changed every two or three days. air conditioner does not work quite well. Juan is a very nice host, very kind and thoughtful, offered all necessary detailed information for stay in Madrid.